Admittedly, tax law can be dry. I tried to avoid that by keeping this post short and direct. The issue I address, namely, the unfair tax treatment of cannabis businesses, is enormously important (and outrageous) and worth taking the time to understand. Next to legalization itself, amending the tax laws as they relate to marijuana is arguably the most crucial issue to address if the industry is to thrive. Marijuana is currently illegal under Federal law. But that doesn’t stop the Feds from taxing its sales revenues. In fact, Congress passed a particularly egregious drug tax law in 1982, known as Internal Revenue Code section 280E. This law, which I’ll just call “280E” does not allow an otherwise legal cannabis business to deduct its ordinary business costs for purposes of determining its taxable income. It does allow deductions for costs of goods sold; however, routine and necessary expenses such as rent, payroll, and marketing cannot be deducted. Is this fair? Here are my questions: (A) On what portion of the annual revenue does each company pay taxes? (B) Assuming the same tax rate, what will each company pay to the IRS in taxes? (A) Acme will pay taxes on its profit of $30,000. As with virtually any other business in the United States, it will only be taxed on the money it makes after deducting its expenses (assuming, of course, that they are proper expenses). GreenGrow, on the other hand, will pay taxes on $800,000, which is its total annual revenue minus the cost of its goods sold. (B) If we assume for our example that the tax rate is 15% for both companies (which is incorrect since companies making over $335,000 per year in “profits” are taxed at 34%) then Acme pays $4500 and GreenGrow pays a whopping $120,000 to the IRS. In other words, two legal businesses with the same annual revenues and expenses will pay radically different amounts in taxes to the IRS. 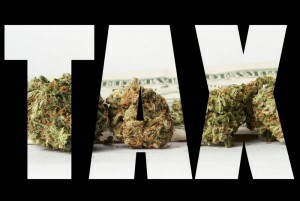 One will pay over 25 times the tax than the other, simply because it sells marijuana and the other doesn’t. Despite this difference one might say, “Rod, this is fair. Marijuana is illegal under Federal law so why should GreenGrow pay the same tax as a company that sells a product that is legal?” The point would be well-taken. But it would be wrong. Any number of illegal businesses are allowed to deduct their expenses when determining their tax. In fact, 280E only applies to sales of illegal drugs. This means that an illegal human slave trade business can deduct its business costs- shipping containers, fuel, payroll, shackles, etc. But a medical marijuana dispensary acting in compliance with state law cannot. Is that fair? One may also say, “Well, Rod, this is academic. I mean, what illegal business voluntarily pays taxes?” That point would also be well-taken. The fact is that most illegal businesses do not voluntarily file tax returns or pay their taxes. However, when they are busted, they are investigated and taxed on their revenues. It is at this point, when the Federal government is assessing a tax on their illegal activities, that they can claim business expense deductions. On the other hand, a cannabis business that files tax returns and voluntarily reports its income and files tax returns cannot take these deductions. Is that fair? No, it’s not fair. 280E needs to be repealed. I’ll post about the history of 280E in a future blog post. As you might imagine given the year it was enacted (1982), it was the result of Nancy Reagan’s “Just Say No” extremism. ← Cannabis Oil- Cancer Cure? Has any effort been made to repeal this to date?